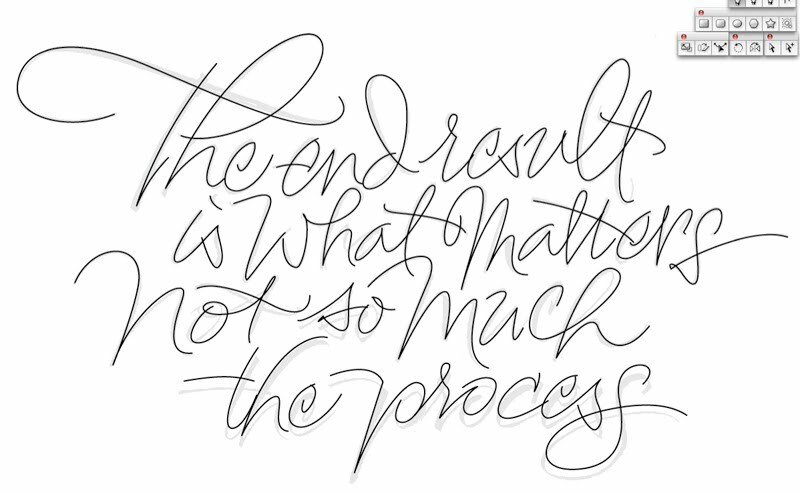 Ever since the workshop with Yves I have been thinking a lot abut what he told me as we discussed digital lettering. 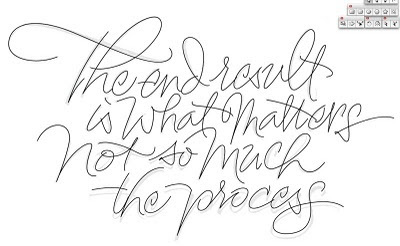 "The end result is what matters not so much the process". As a result of that experience I decided to post some detailed screenshot images of the process I use to create a lettering piece. This one being a gestural script. First I start with a pencil. I actually wrote the words a dozen times and used the best composition as an underlay. I placed the sketch under a sheet of semi transparent layout paper and lettered the words with a extra fine Condor fountain pen. 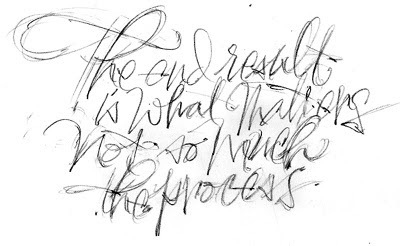 This became my rough lettering reference which was scanned and used as an Illustrator template. In order to create vector lettering I have to look at inked letters to understand the thicks and thins of the script. When I start in Illustrator I fist create single line paths to follow the shapes of the letters in my layout. I then create outlines of the paths and begin to reposition and refine the lines. I must mention that things change along the way as I shape the letters based on contrast and flow of the forms. The final lettering is never exactly the same as the pencil or inked letter reference. With vector lines and bezier curves I can fine tune details as the lettering in my Illustrator file is rather large at about 60 inches wide. I can zoom in and refine curves with precision and zoom out to see how changes effect the overall composition. 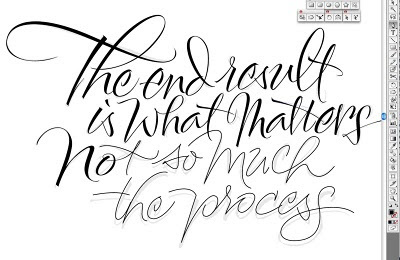 This is just one way of creating lettering and there are many other methods available. As time progresses want to increase my skill with traditional writing tools and pens in combination with digital format. A lesson from the master; a humorous play on the message itself! Kudos Alan, once again! i can't understand how come you changed the strokes in this perfection! did you used CS5 or what? i'm really thrilled to know the how-to behind this.. I was going to bring up CS5 as well.. Currently you said you outline the stroke and use the tool to pull apart to create that effect of pressure.. In CS5 there is a stroke width tool that that expands the width of a stroke from the center point and tapers it accordingly. i have not used CS5 yet but am looking forward to the new features you describe. At present, I use the deselect tool to move points and bezier handles after lines are drawn. Great post, there's a lot of similarities to how I work. 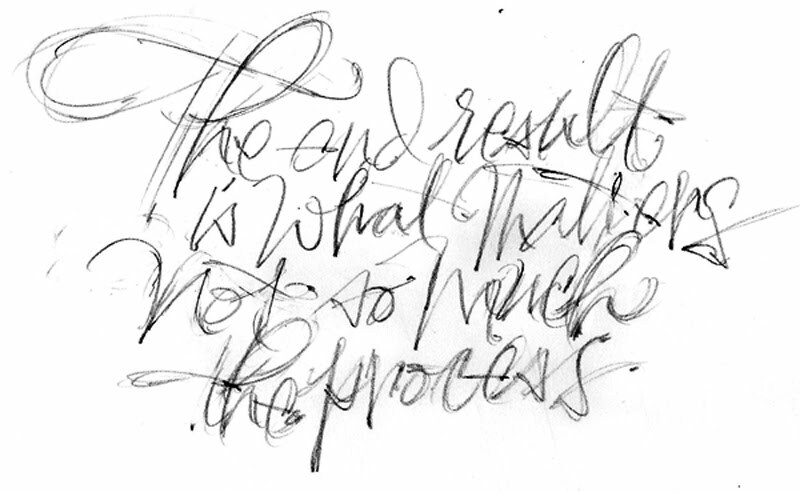 I find that the details of the process usually depend on the style of lettering I'm working on, and there's a kind of feedback relationship between the two. This piece won me over. This is my first time on your blog, and I had to comment on the ampersand first, but this is some really impressive work. 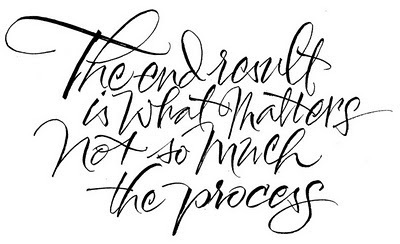 All Matter More Than The End Result. 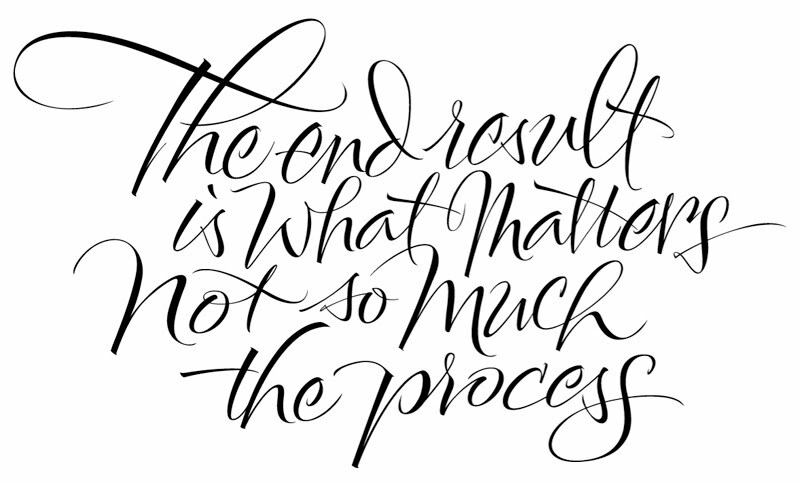 What is "not true" about "This is just one way of creating lettering and there are many other methods available"? I will use any writing instrument, pencil, brush, pen, marker including drawing or image editing software available to create lettering. Whatever works. 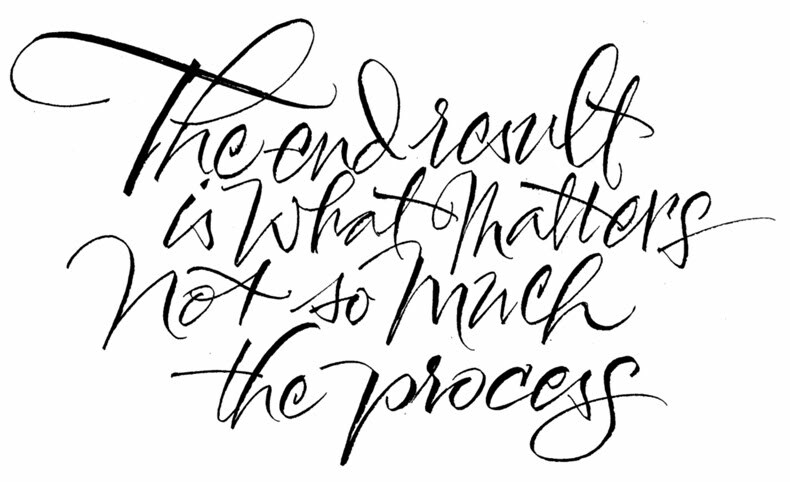 Just starting out hand lettering and found your blog. 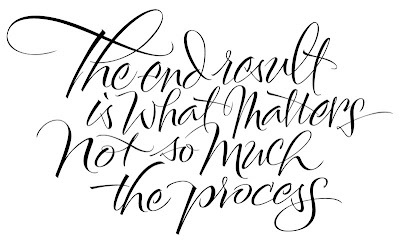 It's really helpful seeing the full process, step by step. Thanks for sharing. This was really helpful for me, thank you for outlining your process!